← This Is Why I Have Hope For Mankind! Merry Christmas!!!!! I had in mind to write a much more thoughtful post. But, this came in my email, as some Twitter update/repost….. something. I’d credit where this came from, but, it’s complicated. In the mean time, enjoy a good LOL!!!! 14 Responses to The Cost Of Failure!!!!! I had to take a break from politics. It was giving me pain. Merry Christmas and Happy New Year! Thought for today. If you’re too young to know what life under Jim Crow was like, guess what, you’re living it now under the guise of Political Correctness as deemed by Socialist ‘Democrats’, also known as Progressives. Say what? Where do they find them, and what is the selection process to allow for such a nutjob there? Such a poisonous mind is allowed to ‘form’ students’ minds. This runs deeper and shows a complete failure in the process to select their staff at the Drexel university. As he says, he’s simply a communist. 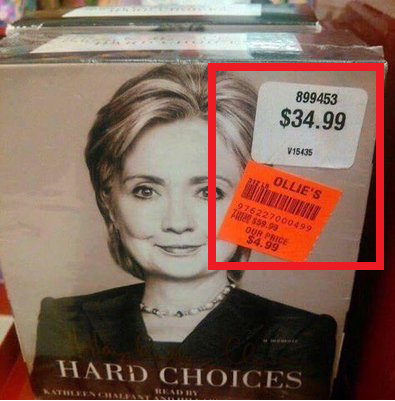 That is the price of her speeches now. Still better to invade and overthrow. That land is yours, too. Well there is one big pork roast\chop done here! LOL! I guess that counts as extra thick! Happy New Year! Giddy Up! PS! I hate this new green thing by Me name that WP changed! But then again I am green, but not by their standards, so, Giddy Up yet again! Now there is a podcast “listen to full episode” Check it out as they are selling solar pannels to the northern communities claiming after the 6 months of day light that it will still work from the beams and the stars will still be enough for the solar pannels!